Last Sunday March 24, I attended the BDJ Box Beauty Social Event at the SM Mall of Asia Atrium. 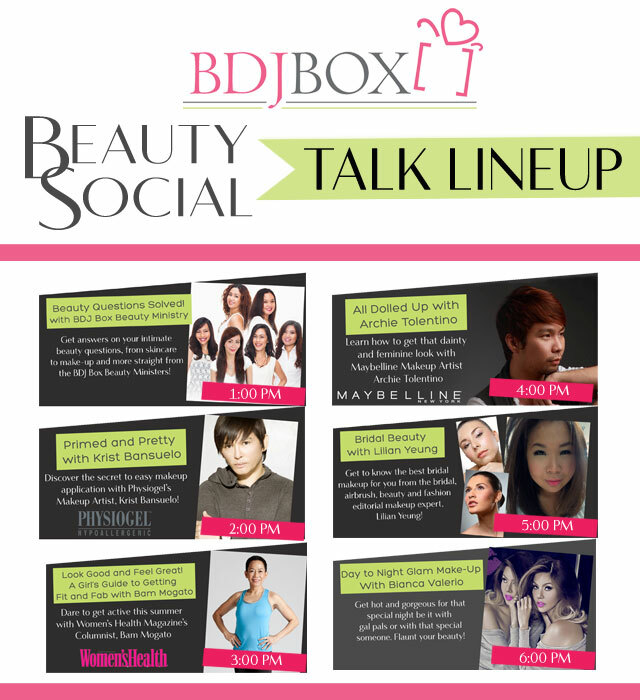 This is the first event hosted by BDJ Box- a monthly beauty product discovery subscription service created to help women in their quest for the best beauty products. 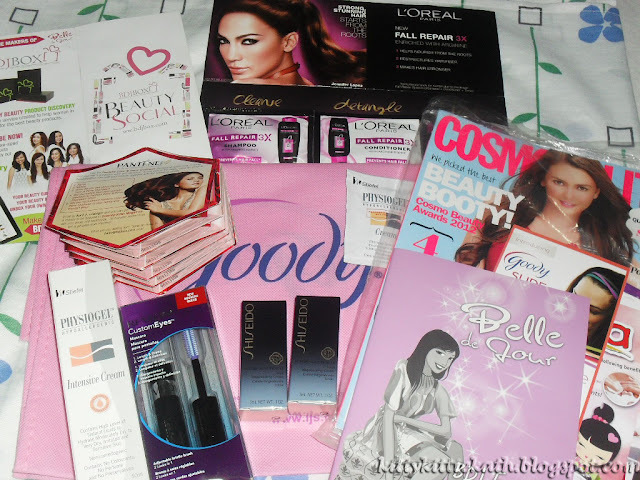 When beauty boxes subscription hit our country last year, BDJ Box is on top of my list. I find this box very helpful especially to those who loves to venture in different skin care products or those looking for their holy grail. 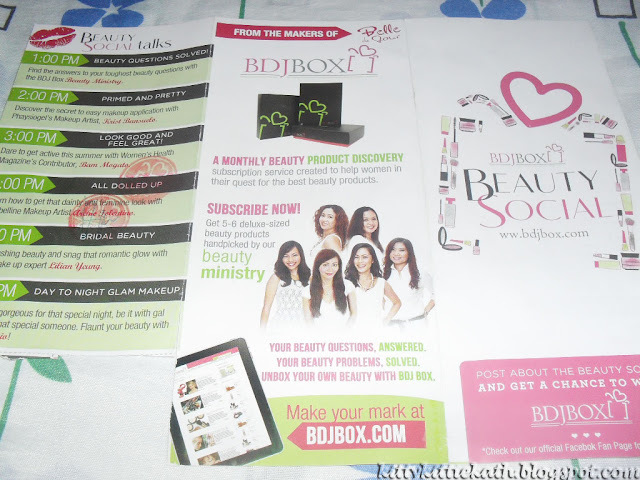 When you subscribe to BDJ Box, you not only chance up to score a sample or full-sized beauty and skin care product but there's a lot more surprise to boot inside the box. 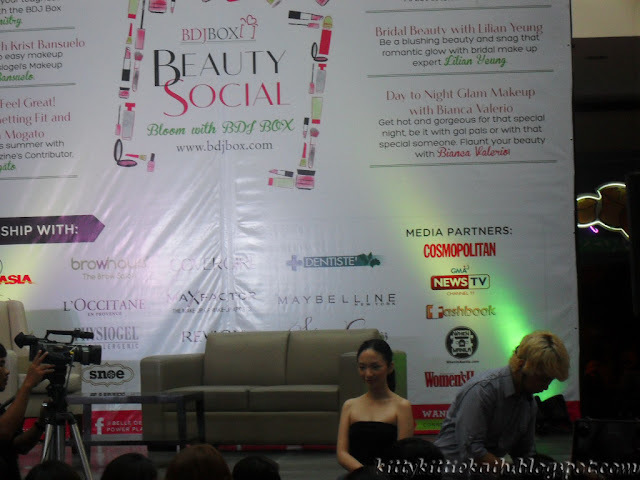 Now back to the event, I'm so happy that I made it to the last minute of the beauty talk that I pre-registered. Before I went to the event, there's a lot of personal incident that happened but none of that can stop me from attending the event. Better late than never, right? So even if I'm late for my 3:00 pm and 4:00 pm talk, I still learned a lot from the speakers. 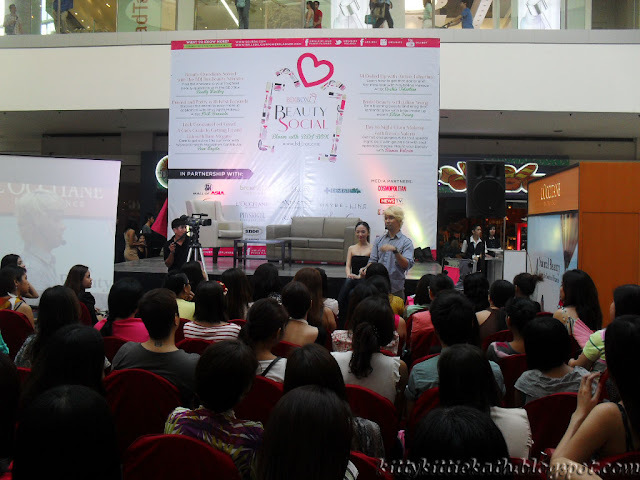 I really wanted to hear Ms. Bam Mogato's advice on looking good and feeling great but the talk has ended when I arrived on the venue but I'm lucky to witness how Mr. Archie Tolentino demonstrated how to get the dainty and feminine look using Maybelline products. Say hello to the pretty model/vlogger/blogger Iya of Missplpify. 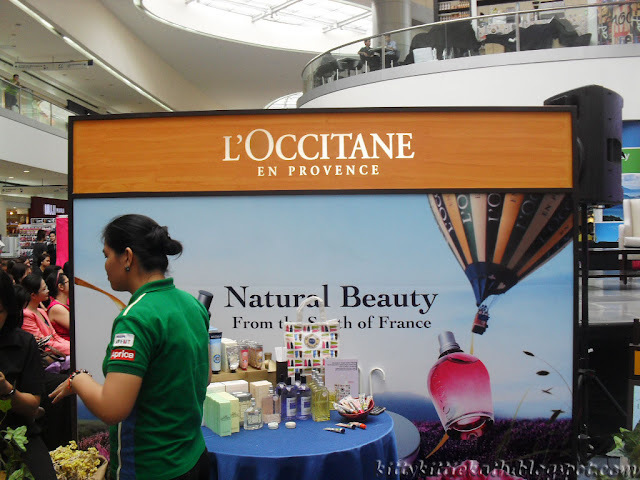 After the wonderful talk, I toured myself around the venue and saw mini kiosks of international and local cosmetic brands. 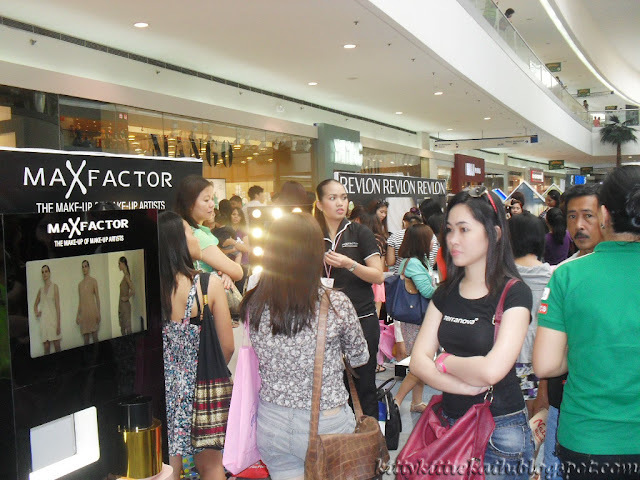 They were giving freebies, makeovers, samples and great discounts to the event participants. 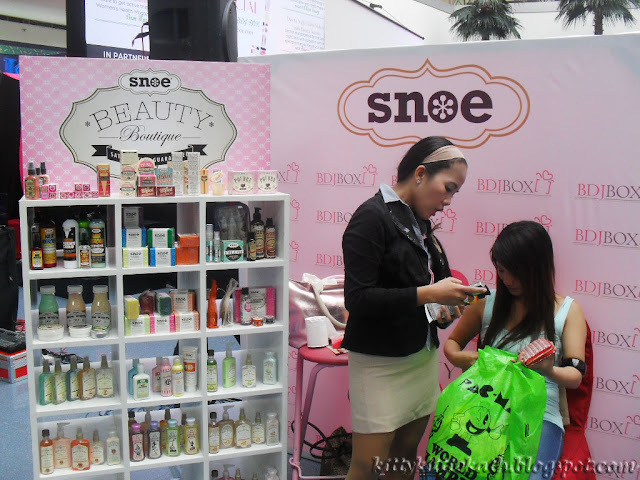 There's Snoe, L'occitane En Provence, Max Factor, Revlon, Goody, Shiseido, Physiogel and Strip together with Browhouse. 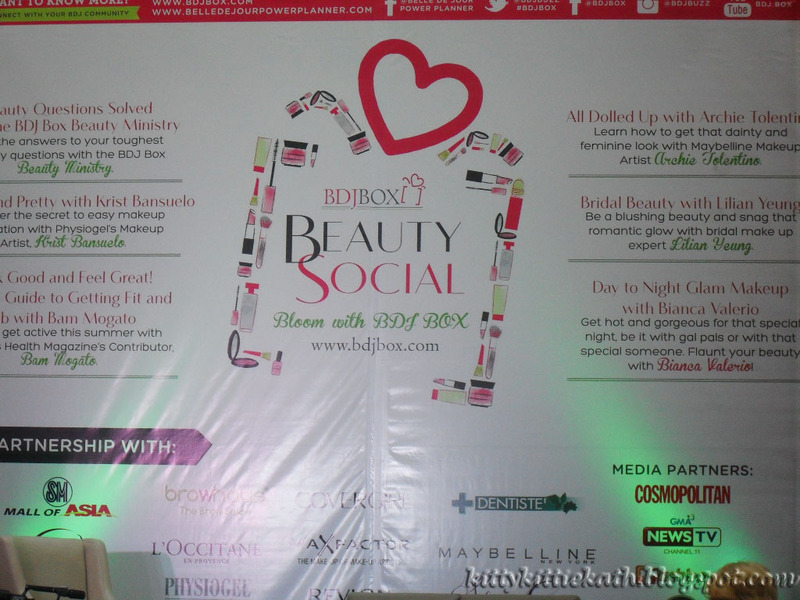 Thank you so much BDJ Box Team for making this event very meaningful and special to all Bellas! 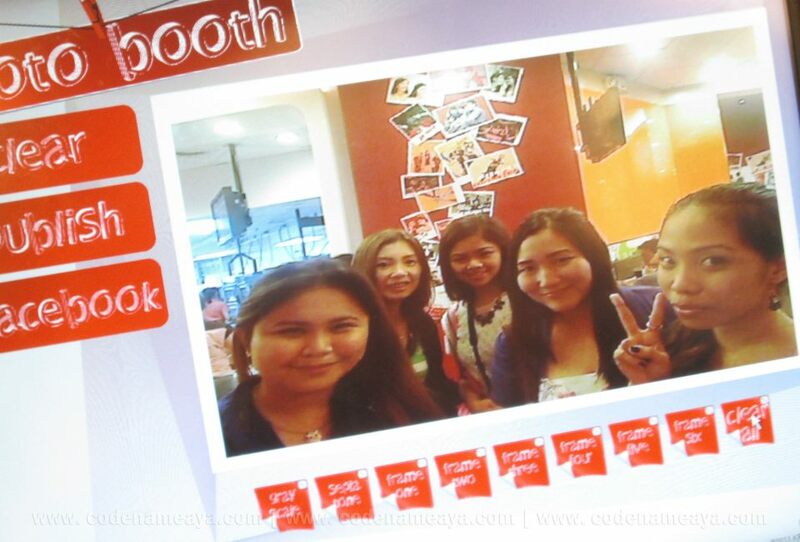 I had a great time during the event. 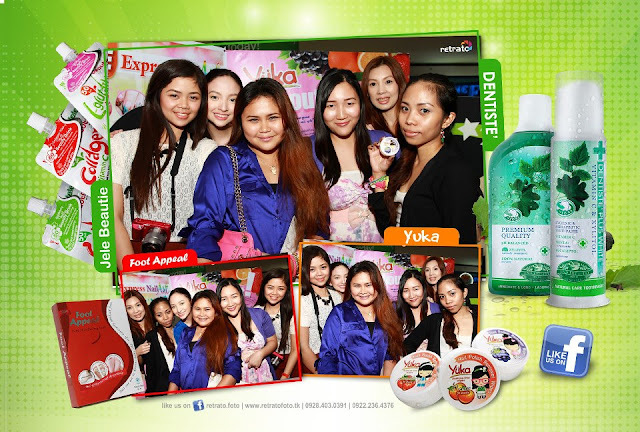 Learned so many things from the beauty experts and of course met new friends and experienced great freebies. Thank you for this loot bag too, I'm very giddy to try everything here ^_^ Cheers!!! I was there too! so sad I wasn't able to see you all :( great post!! hope to see you next time :) I'd love to meet my co-beauty bloggers too! 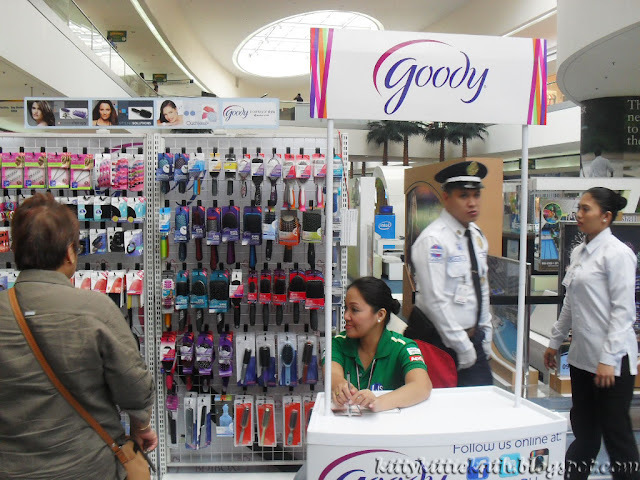 @Karen Corpuz- hello, you're there sa event? thanks for the info, hindi ko alam na may violet loot bag pala. @sherry ann- thank you dear. pag may events and BDJ you can join naman simply like and follow their FB page for the guidelines.